Gee, Carol, how many horses can you fit into your horse trailer? Well, today, obviously a few more than the six we usually squeeze in there! 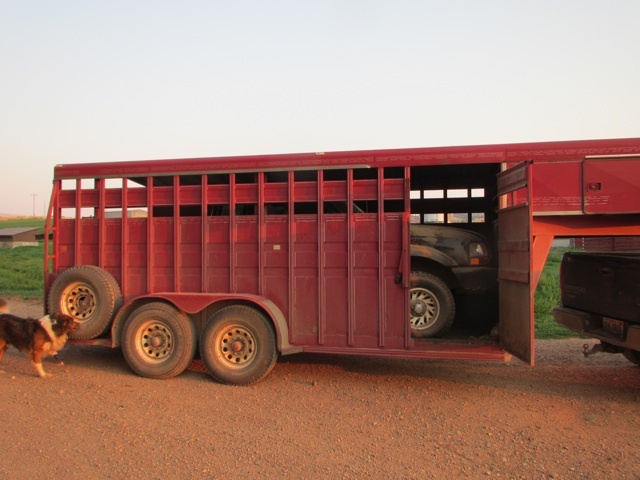 Instead of getting a car hauler, you decide you can fit a Ford Ranger into your 16′ horse trailer! Which, it did… except that it was just a smidge too long (and we were worried about the side to side!). 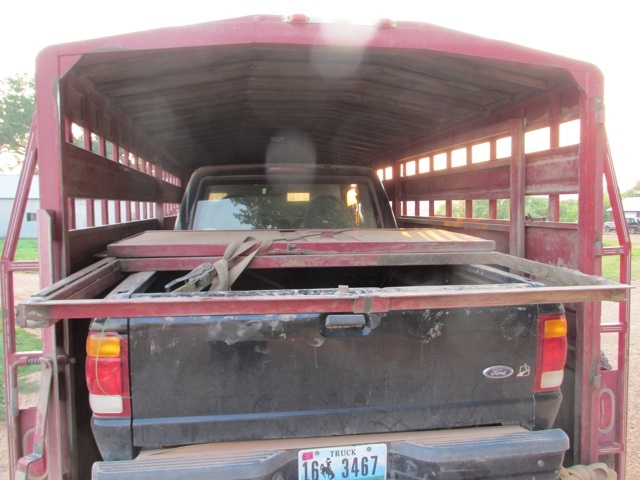 Solution: take off the horse trailer end gate and just lay it on the bed of the Ranger. It worked and we made it home… on back dirt roads OVER the Big Horn Mountains! September 4, 2008 No entry.